Bill and Wilma Watson passionately long to see people set free and not just know intellectually how much God loves them but to personally experience His love. They have discovered that God’s love sets people free from themselves – from stress, fear and anxiety.They share from many years of experience, having helped hundreds break free from the things that slow them down or hold them back from fulfilling their God-given destiny. A doctor suggests that about half of his clients would benefit greatly from their teaching. Bill and Wilma have been missionaries in Ethiopia for 15 years and have taught thousands of people nationally and internationally across the various denominations on prayer. They have seen many answers to prayer and hundreds saved and set free. 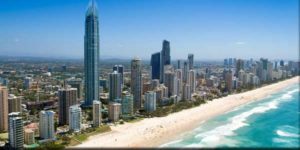 They live on the Gold Coast, Australia, and enjoy walking along the beach and praying for people at the Gold Coast Healing Rooms and at Newlife Uniting Church, Robina. They have four children and six grandchildren. 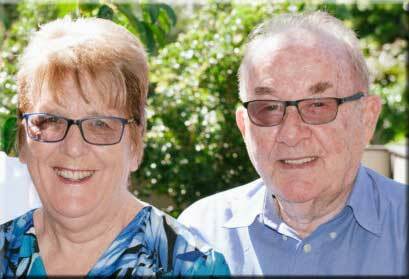 Endorsement: Having gone through the Break Free course Franklyn and Deanne Elliott, the National Directors of Healing Rooms Australia comment: “We are very impressed and absolutely love the course. There are all sorts of complicated and costly programs available but you have mastered a simple and yet profound course, which is exactly what is needed! An absolutely outstanding Holy Spirit inspired teaching! It is well structured and presented. Easy to understand and to personally apply to one’s own life. Practical in application yet profound in its effectiveness. The course is an absolute must and will result in enormous freedom and blessing. Download teachings and break free today!